The ability to take a large segment of Salt Lake City’s waste, prevent it from filling up our landfill, and then use it to make gardens thrive, is a miraculous thing in our eyes. Composting is nature’s way of recycling. 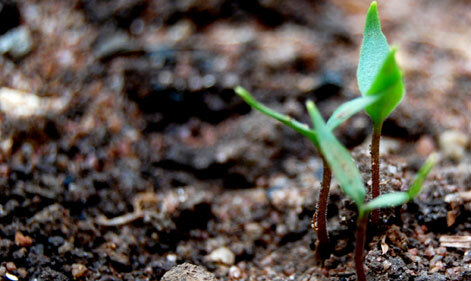 You can turn fruit, veggies, grass, branches and leaves into dark, crumbly and sweet-smelling soil amendment. It saves you money by lowering your garbage bill (switch to a smaller waste bin and save) and helps you avoid purchasing expensive commercial fertilizers. Salt Lake City residents have two great options – curbside compost or home composting. Curbside Compost: Also known as the yard waste program, or the tan can, curbside composting is made easy with a 90 gallon bin picked up weekly. Currently the tan can is “vegan” – meaning it only accepts green waste. The wheels are in motion to expand curbside composting to accept more forms of food waste, so stay tuned! In the meantime, maximize your curbside bin with tea bags and coffee grounds. Home Compost: Enjoy the spoils of your composting efforts at home! Build your own composting bin and watch your garden thrive. More home composting tips. 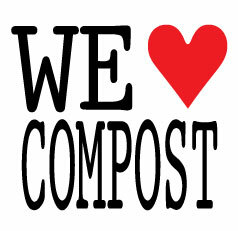 With two easy ways to get the job done, we bet you will ♥ compost too!